There’s one new law on the books intended to help police in Texas that has gotten less attention than several others in a year when lawmakers touted their “back the blue” bills. It’s a measure that will allow counties to create pretrial diversion programs for first responders who commit crimes because of job-related mental health issues. The law, inspired by similar courts available to veterans, was pushed by one of Texas’ largest police unions, and it sailed through a Legislature eager to help law enforcement in the year following a Dallas shooting that left five police officers dead. But at least a few county judges and experts say the courts seem unnecessary or concerning, and many large counties don’t appear interested in setting them up anytime soon. Starting in September, counties will be able to establish a specialty court for law enforcement officers, firefighters, prison guards, county jailers and paramedics charged with any misdemeanor or felony. The law focuses on those who suffer from a brain injury, mental illness or a mental disorder — such as post-traumatic stress disorder — that they got from their job. Eligible defendants could bypass criminal prosecution and instead go into a treatment-based program specific for each case. 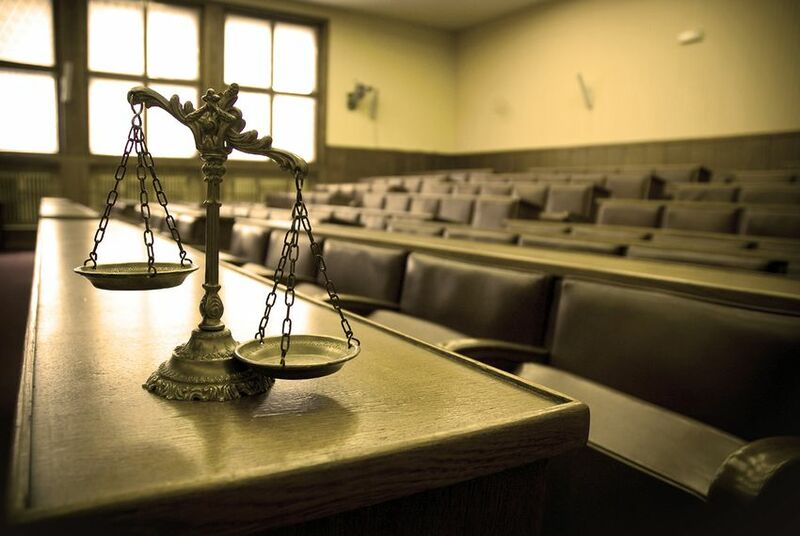 Counties can choose to limit what types of crimes are eligible, and both the prosecution and judge in each case must sign off for a defendant to be eligible. Participants in the program who are able to pay can be charged up to $1,000 plus the costs of any testing, counseling or treatment. “I think this allows our first responders, if they’re suffering from a mental disorder, it allows them to get the help that they need so they can get back in society rather than send them through the criminal system,” said state Rep. Charlie Geren, R-Fort Worth, who authored the bill. Specialty courts are a way for the justice system to keep high-risk individuals out of jail or prison and into treatment that looks to solve the deeper issue that led to crime. Drug courts are the most common specialty court in Texas, which seek to treat addiction rather than jail people for drug-related offenses. Other specialty courts focus on DWIs, mental health and prostitution. The bill to create courts specifically for law enforcement was pushed by the Combined Law Enforcement Associations of Texas (CLEAT), in an effort to mirror a similar law passed in 2009 that allowed counties to create specialty courts for war veterans who suffer from brain injuries or mental issues like PTSD. Those courts work with the U.S. Department of Veterans Affairs to provide treatment. “Since we’re treating soldiers similarly, we thought that it would be a good idea to put forward to the Legislature that we do the same for officers because their circumstances are different ... from anyone else’s,” said CLEAT executive director Charley Wilkison. Lawmakers were happy to take it on. House Bill 3391 passed out of both chambers this year with a large majority of votes and little controversy, only drawing public comment from some Tea Party-aligned Republicans. State Rep. Jonathan Stickland, R-Bedford, questioned the constitutionality of creating a “special class of persons,” and Sen. Konni Burton, R-Colleyville, wrote in the Senate’s journal that the bill language was too broad, allowing the possibility for murder cases to be sent through the diversion program. Wilkison said he didn’t expect any controversial cases, such as shootings by police, to go through these programs because the judge and district attorney who would have to sign off on the diversion are publicly elected officials. Comal County District Judge Dib Waldrip, president of the Texas Association of Specialty Courts, said he thinks the new programs could be a good thing because specialty courts have been proven to make a difference and lower recidivism for high-risk individuals. But he added that he hadn’t heard of a specific need for first responders and that existing drug and DWI courts could possibly handle cases involving first responders, as well. “If there is a special need in some community somewhere, I’m all for it. I do think that probably the traditional approaches from the drug court model, in general, can suffice,” Waldrip said. Gov. Greg Abbott signed the bill in June, along with a handful of other bills that focused on helping police and first responders following the Dallas shooting. The bills include one that will create a $25 million grant program to provide bulletproof vests to law enforcement agencies and one Abbott personally lobbied for that classifies assaults against police and judges as hate crimes. Before specialty courts for former military were available in Texas, judges had sought alternatives to help the uptick in veterans streaming into their courtrooms. There doesn’t appear to be a similar need for police and other law enforcement officials, said Kathy Mitchell, the sentencing campaign coordinator for Texas Criminal Justice Coalition, who specializes in police practices. Generally, specialty courts are created in counties after judges see a need for a certain offense or population. The judge will approach the county, and the county’s commissioners court, led by the county judge, can then start the process of establishing a diversion program. Several judges in large Texas counties said they have not heard of anyone who has asked for a public safety specialty court, but some added that didn’t necessarily mean there wasn’t a need for it since the law hasn’t been enacted yet. CLEAT couldn’t list any counties wanting to create a new court either, though Wilkison said he didn’t ask counties about it. Geren said Tarrant County Judge Glen Whitley expressed interest in establishing a public safety specialty court. Several phone calls to Whitley for this story were not returned. Judge Susan Brown, Harris County’s administrative judge of criminal courts, said she was aware of one case of an officer who might fit the criteria for these courts, but she didn’t give specifics. She added that it was not something she had seen personally in her 18 years on the bench. “I’ve had very few cases against police officers ... and I can’t think of any [when] it was brought to my attention that this behavior was due to an injury that occurred or something that happened while employed as a police officer or fireman,” Brown said. And in Dallas, County Judge Clay Jenkins said he has not been approached about new courts either. He also expressed concerns that a diversion program could further divide the community from police officers. “A specialty court could have the unintended consequences that there is special treatment — that there is less justice for law enforcement personnel than [a citizen’s] own family,” Jenkins said. The judge emphasized his admiration for law enforcement and said he sympathized with the “toxic stress” first responders deal with every day but said they must be held to a different standard than veterans on the street. “We want to be compassionate when people are hurting, but first you need to be held accountable for your actions,” he said. Disclosure: Charley Wilkison has been a financial supporter of The Texas Tribune. A complete list of Tribune donors and sponsors is available here.